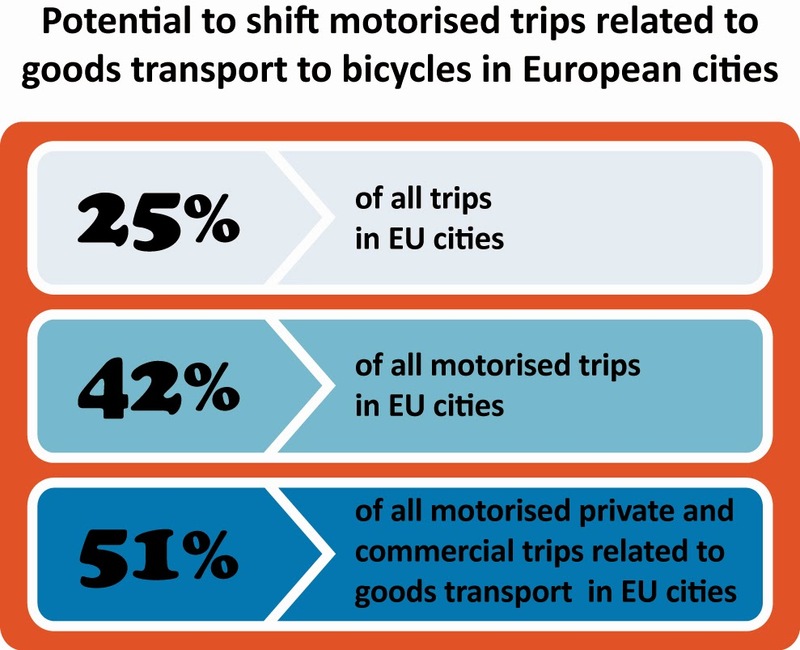 As the graphic above indicates, the potential for switching to bicycles and cargo bikes in European cities is impressive, according to a Cyclelogistics.eu baseline study. 51% of all motorised trips related to goods transport could realistically be done on bikes and cargo bikes. 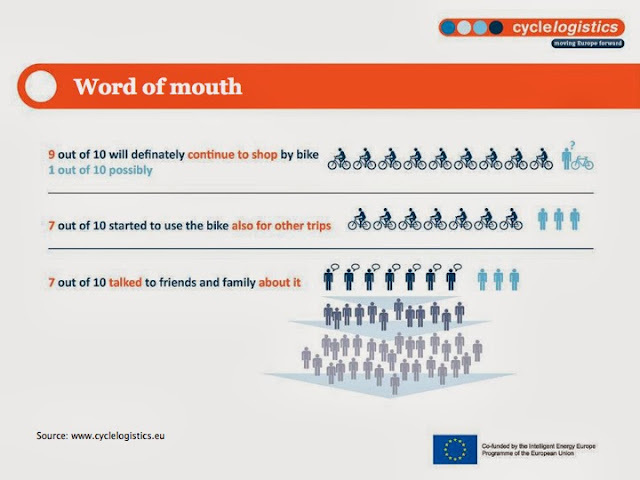 Copenhagenize Design Company have been involved with the brilliant Cyclelogistics.eu project for two and a half years now. 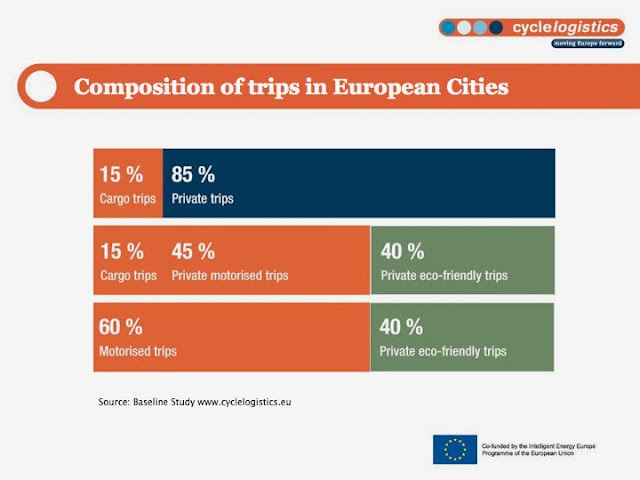 The project is aimed at promoting the use of cargo bikes in European cities. We've recently posted about our Shop by Bike campaign here in Copenhagen and for the past two and half years there have been great initiatives in all of our partner cities. Our partner in Graz, Austria - FGM Amor - have spearheaded a Cyclelogistics baseline study about how much of the the goods transport in a city could realistically be switched to cargo bikes and bicycles. 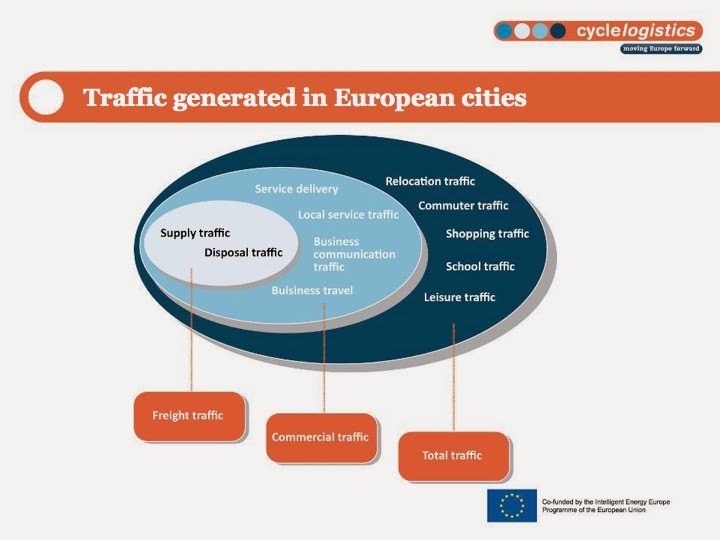 In the above graphic you can see what the transport equation looks like in European cities. 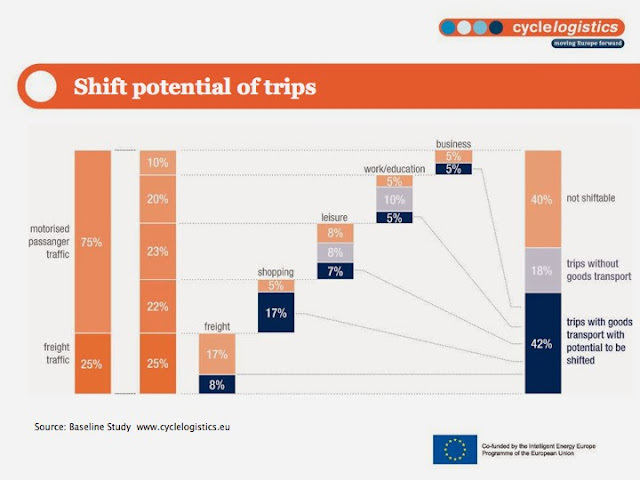 The composition of trips in European cities looks like this, above. Here we outline the shift potential. 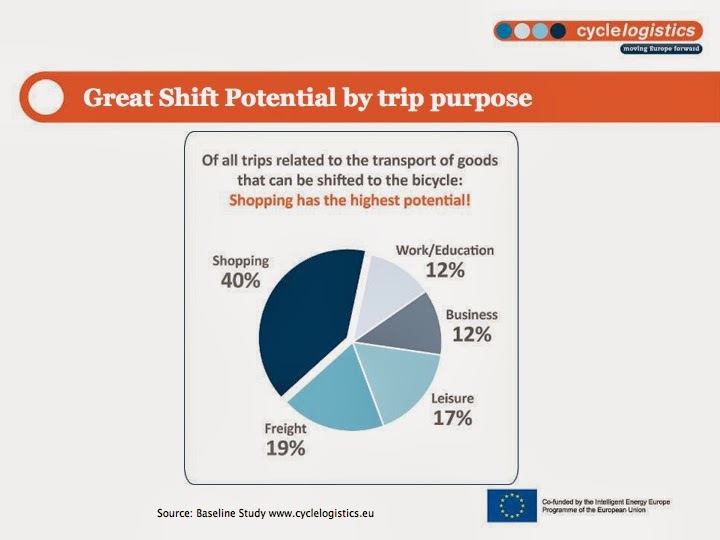 All logistics have the potential to shift to bikes, but shopping has the greatest potential for reducing car use. 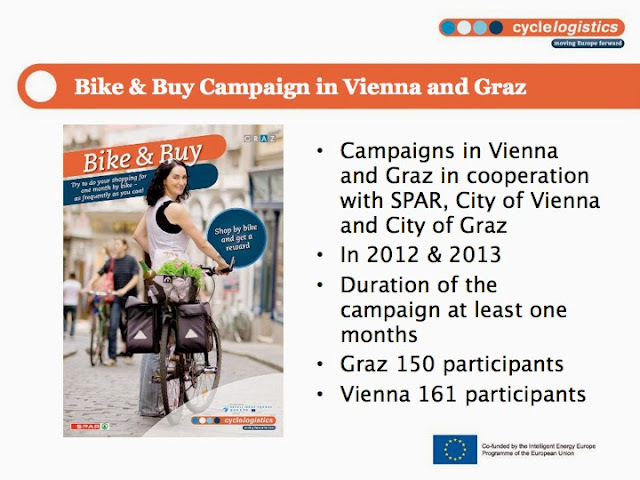 In addition, Cyclelogistics did a campaign in Graz and Vienna, in collaboration with the SPAR supermarket chain. 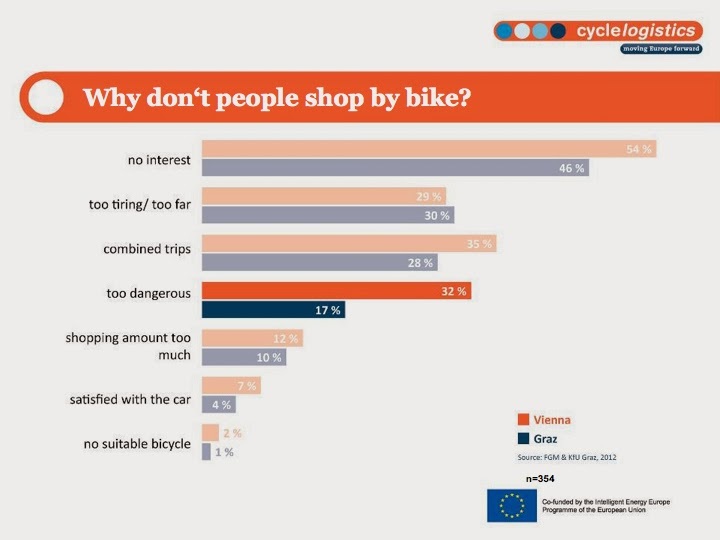 The campaign revealed why the particpants didn't shop by bike. After participating in the campaign, there were pleasant results. The expectations of the participants were exceeded in every category. A whole lot of mythbusting busted a whole lot of myths. 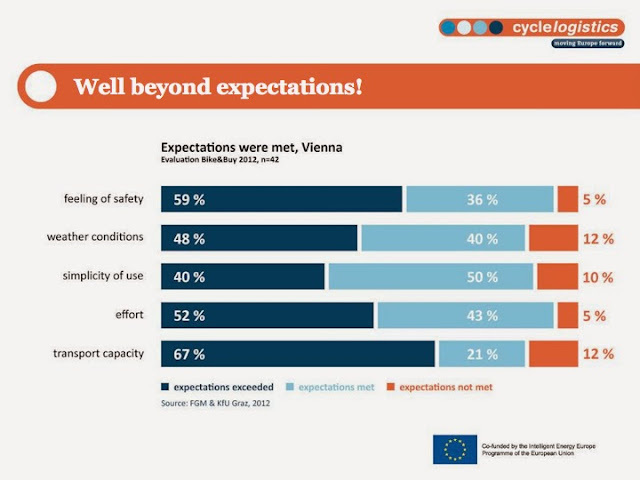 All by getting people out of their perception bubble and onto the bicycle infrastructure to try it for themselves. 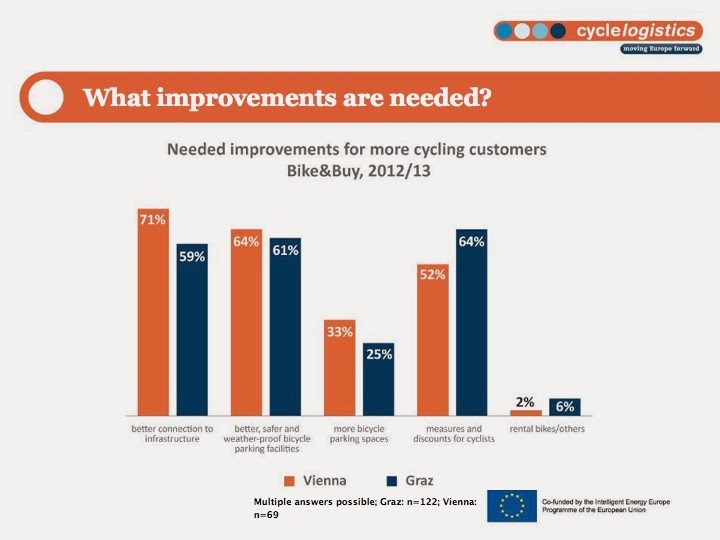 There were, of course, areas that the participants thought needed improvement. Not suprisingly, safe infrastructure for cycling was the main one. Parking and incentives were close behind. Participants were asked what they thought about potential services that could be provided for them. The results were positive. Beyond our own expectations. 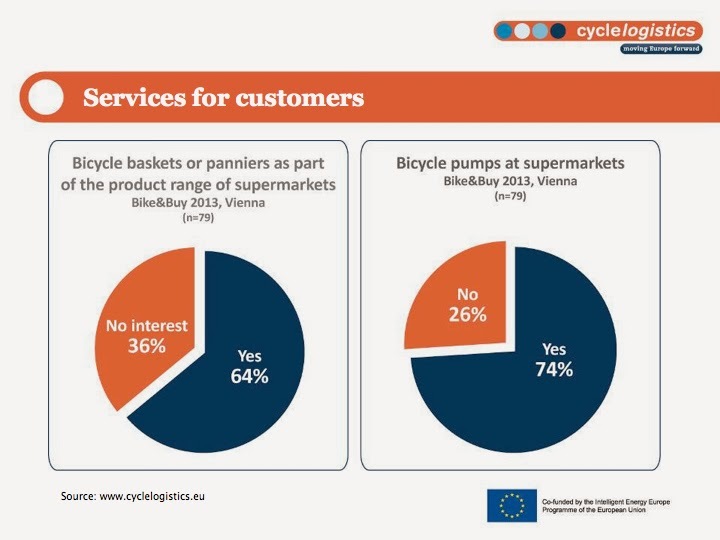 You can read the whole baseline study from Cyclelogistics - as a pdf - from the Cyclelogistics.eu website. 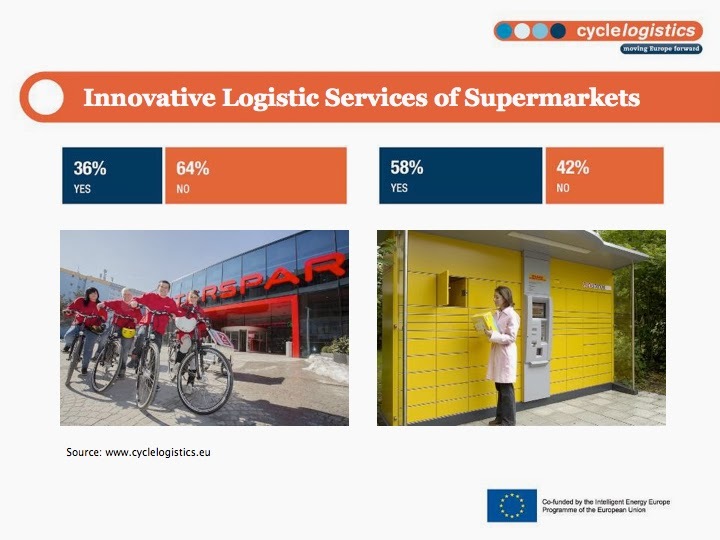 Follow Cyclelogistics on Facebook and on Twitter.